The Collector is a two way transmitting module that sits within a localised network of nodes. Each collector has a maximum capacity of up to 250 nodes within a 3km radius. In practice, working numbers may be less due to localised conditions. The collector scans the local network for faults and modifies control regimes according to the type of activation and time profile selected. Each collector has the facility to adopt any nodes within its range that are not already assigned to another collector or if an adjacent collector ceases to operate for any reason (up to the collectors maximum capacity). 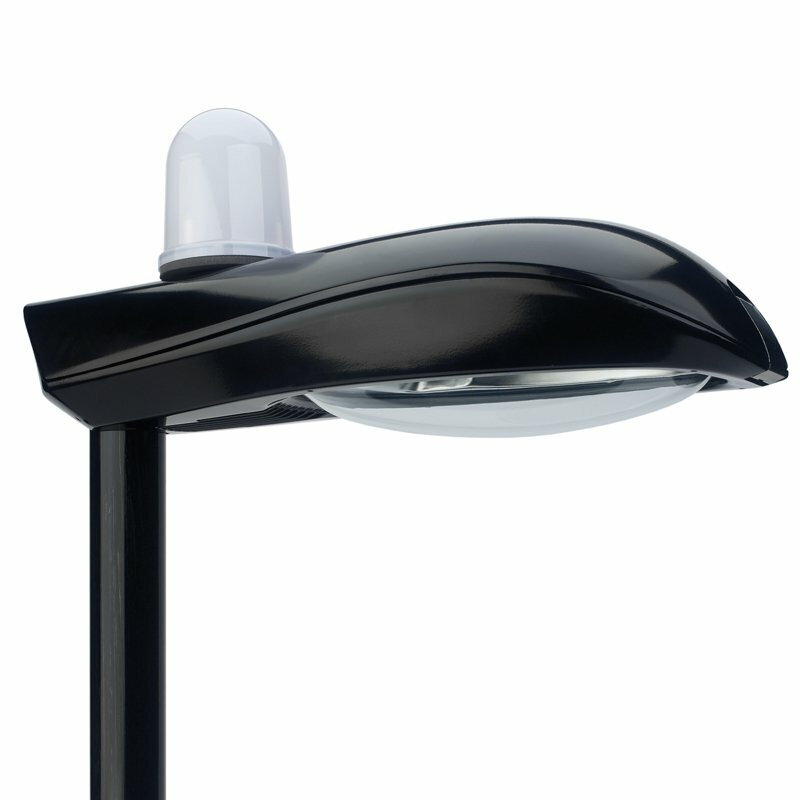 Through the WiMAC protocol, a secure and wireless communication channel – the Collector, has two-way communication with the Nodes on all street lights within its range. The Collector collects the information from all the street lights in its area and, using GPRS, sends the information to the Vizion Host. The Collector also receives messages from the Vizion Host and transmits them to the individual Nodes on the street lights. The Collector ensures that the Nodes are operating according to their schedule. ⋅ Appropriate Fitting fundamentals: 20mm hole, washer & nut seal. ⋅ Onsite Protection: Externally sealed enclosure. ⋅ IP rating: IP 66 correctly fitted. ⋅ Operating temperature range: -20°C to +55°C. ⋅ Power Supply requirements: Supplied from Vizion ZEDA Driver or ZEBC Ballast. ⋅ Server Communications: Quad band GSM / GPRS, integral antenna. ⋅ Performance Compliance: EN300 220 / REC 70-03 Annex1 (g1)Manufactured in the UK. ⋅ Optional remote power supply.